After his star turn in the 2015 Stanley Cup Final, Victor Hedman has become the cornerstone of the Tampa Bay Lightning’s defense and one of the NHL’s best players. During their run to the 2015 Stanley Cup Final, the Lightning established themselves as an elite team in the NHL, one filled with young, explosive talent. Driving Tampa Bay’s success, allowing its offense to flourish, was the play of defenseman Victor Hedman. Hedman, 24, can be overshadowed by forwards Steven Stamkos, Tyler Johnson, Alex Killorn, Nikita Kucherov and Ondrej Palat, the Lightning’s high-octane offensive stars. He does not play with the flash of Johnson or the power of Stamkos, the grace of Palat or the fire of Killorn. But in the playoffs, Hedman provided crucial stability and structure on defense, which allowed the offense to flow and helped to shield goalie Ben Bishop. At both ends, Hedman anchored the team, turning a goal-scoring juggernaut into a more balanced machine. Hedman, the second pick in the 2009 draft behind Islanders center John Tavares, has slowly but steadily improved since entering the league as an 18-year-old. Despite playing big minutes from the beginning he didn’t hit his stride as an all-around defenseman until the 2013–14 season, when he scored 13 goals and chipped in 42 assists, both career bests. Hedman’s passion and confidence was evidenced by his breakout 2015 postseason. He had 14 points (one goal, 13 assists) and was +11 while playing almost 24 minutes per game. But while his offensive play was impressive, it was his play on defense that really drove the Lightning’s success. Indeed, without two virtuoso performances by Hedman and the defense against the Rangers in the Eastern Conference finals, Tampa Bay may never have gotten the chance to play for the Stanley Cup. In Game 5 at Madison Square Garden, with the series tied at two games apiece, the Lightning allowed 26 mostly harmless shots en route to a 2–0 victory. After a New York win in Tampa Bay, all the hype before the series finale at the Garden was about Rangers goaltender Henrik Lundqvist, who had won six consecutive Game 7s. Instead, Hedman and the Lightning put on a defensive master class, shutting out and shutting down New York 2–0. Hedman's game is silky. In the third period of Tampa Bay’s 3–2 victory in Game 3 of the Stanley Cup Final against the Blackhawks, he took a feed from winger Ryan Callahan at center ice, swooshed into the zone, dangled around a defenseman and put the puck on the tape of the stick of forward Cedric Paquette, who scored the winning goal. Hedman isn’t a bone-crusher—he’s more Nicklas Lidstrom than Zdeno Chara, more Erik Karlsson than Dustin Byfuglien—and his grace in his own end is matched by his skill in the opposing one. Hedman and Stralman were matched well as a new defensive pair, the steadiness of the latter allowing the former to take offensive chances. Hedman, despite missing 18 games this season with a hand injury, still scored 10 goals, with 28 assists. Matched up every night against opposing teams’ best players, he was an impressive +10. The pair’s reliability on the back end also allowed for the dynamic cross-ice, zig-zagging work of the Triplets (Palat, Johnson and Kucherov), a line that made big impacts in the playoffs against the Red Wings, the Canadiens and the Rangers. More often than not, a Lightning goal began with Hedman starting a breakout, or Hedman finding an open man. Hedman has come a long way from the 10-year-old boy who switched from goalie to defense because his parents promised him a new helmet if he did. (“[My mom] was just afraid I would get hurt or something,” Hedman says.). Just after his 18th birthday, Hedman suited up in the Swedish Elite League alongside Hall of Famer Peter Forsberg, who like Hedman, hails from the town of Ornskoldsvik. Hedman and Stamkos are the only two players remaining from the Tampa Bay’s run to the Eastern Conference finals in 2011, when Hedman was in just his second professional season and Stamkos was in just his third. Hedman had only six postseason assists that year as the Lightning lost to the eventual Stanley Cup champion Bruins. For 26 games this spring, Hedman proved his worth as the unassuming, yet vital, member of a young Tampa Bay core that is high on talent and achievement. More Cup runs may be coming, and it will be Hedman, playing his smooth game, quietly leading the way. Weber is a complete defenseman. At 6’-4”, 235 pounds, he packs a mean streak and a cannonball shot. Though he’s still only 29, he already has six seasons of at least 16 goals on his resume and an Olympic gold medal he won while playing for Canada at the 2010 Games. He should win his first Norris Trophy before long, but his legacy will ride on whether he can win the Stanley Cup. 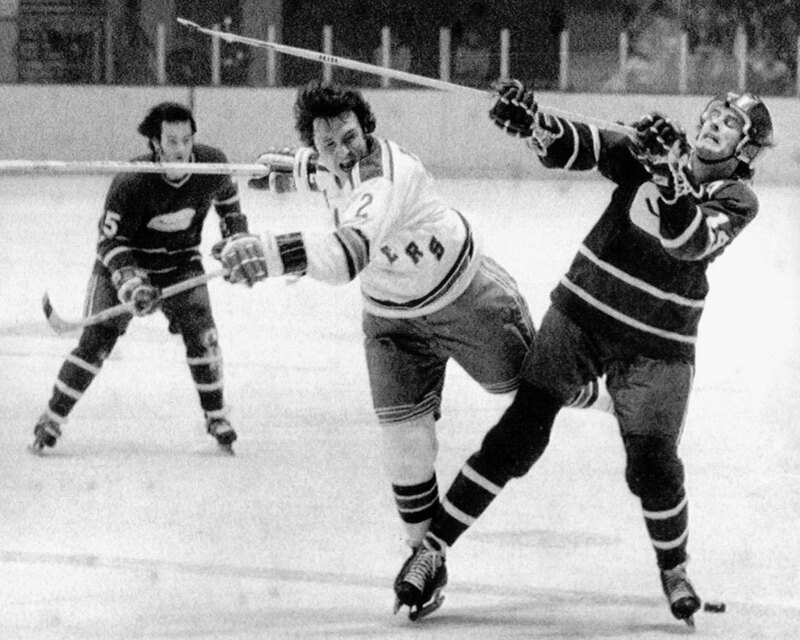 The longtime Maple Leaf came over to the NHL during the Broad Street Bully days of the mid-70s when the league’s ruffians ate Swedish players for lunch. 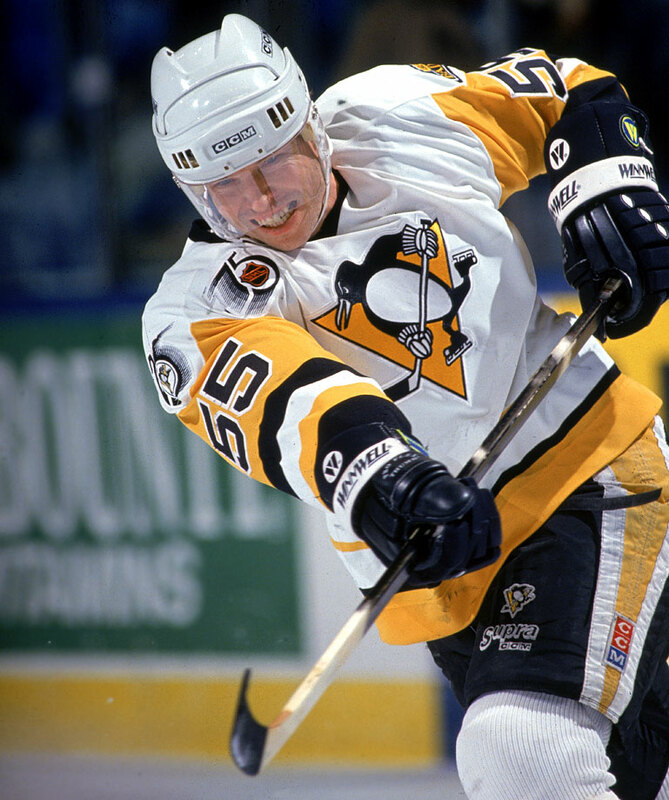 Salming took some brutal hackings and beatings, but he also won respect for playing through them and becoming a fine support player for the likes of Darryl Sittler and Lanny McDonald in Toronto. 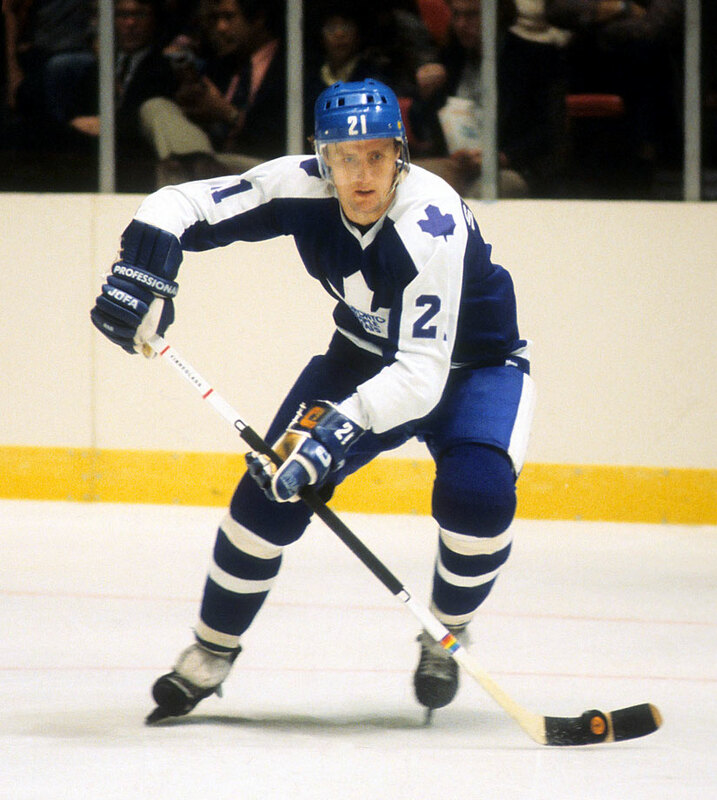 Salming earned five Second-Team All-Star selections and was a First-Team pick in 1977. He finished his career with 787 points and +175 rating in 1,148 games. The classic two-way defenseman was a stiff checker and steady puck mover who scored double figures in goals 13 times during a career that spanned 1,270 games and produced a Stanley Cup in Colorado and gold medals at the World Championships and Olympic Games while representing Canada. Though he never posted a 70-point season, Blake still amassed 777 points, a testament to his consistent production throughout his career. 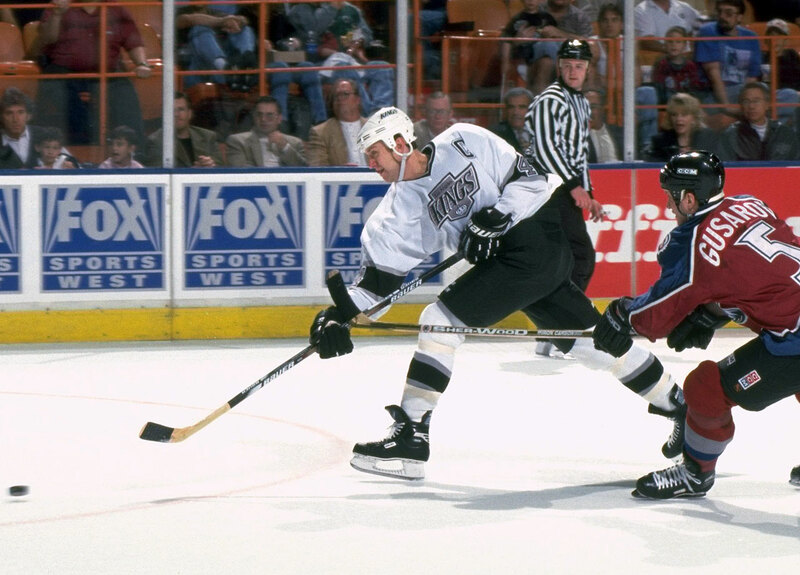 He also won the Norris Trophy in 1998 as an L.A. King. The fleet Niedermayer was a remarkably effective offensive blueliner (35 or more points in a season nine times) during an age of clutch-and-grab on a defense-minded team. Despite the Devils’ restrictive system, he was able to shine, winning the Norris Trophy in 2004 and three Stanley Cups (1995, 2000, ’03) before adding another championship with his brother, Rob, with Anaheim while earning the Conn Smythe Trophy in 2007. A winner at every level of hockey at which he played, Niedermayer's mantel also holds gold medals from the Olympics (2002, '10), World Championship ('04), World Cup ('04), and World Junior Championship ('91). 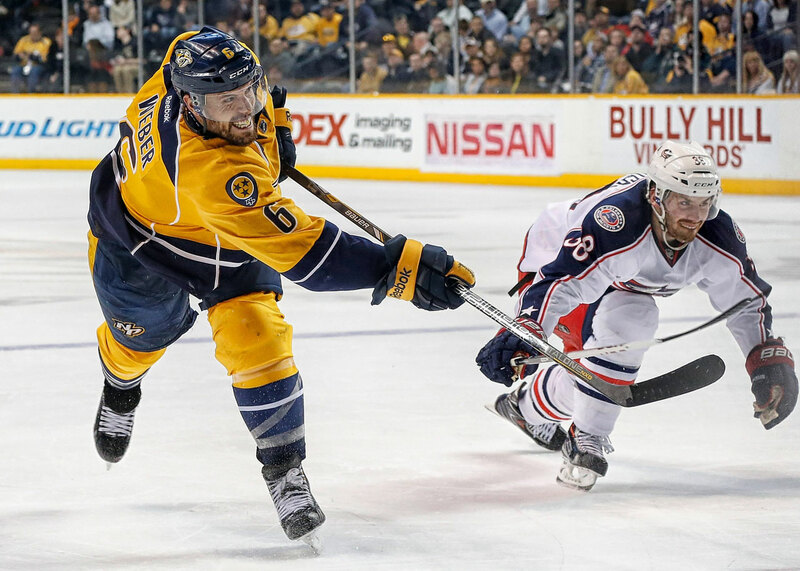 At 6’9”, Big Z is the tallest player ever to play in NHL and yet has remarkable dexterity and puck control for someone who towers over the league. Even at 38, the 17-year NHL veteran is still a scary foe to play against. 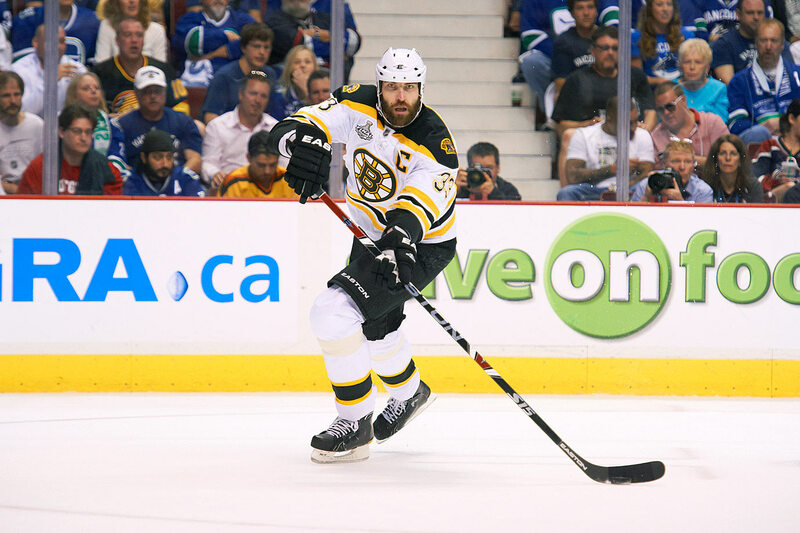 Though he will always be remembered for a scary turnbuckle check against Montreal's Max Pacioretty, Chara is actually fairly controlled for a physical force he has been throughout his career, even with more than 1,600 penalty minutes in over 1,100 games played. He helped end Boston’s Stanley Cup draught with his brilliant play in the 2011 postseason. 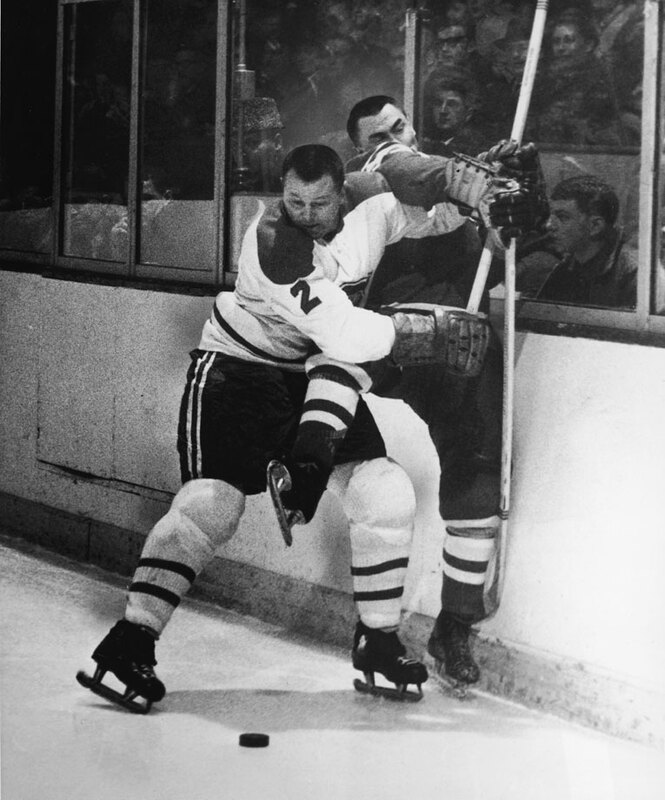 Gordie’s son didn’t have his dad’s mean streak but he earned enshrinement in the Hall of Fame as a defensive stalwart. In the 1980s, Howe played an astounding 30 straight games without being on the ice for an even-strength goal-against. The three-time Norris Trophy finalist was also a fine candidate for the Lady Byng, an unusual distinction for a defenseman, or the Masterton Trophy, having survived a gruesome injury in which the plate that used to keep the goal net firmly on the ice got stuck five inches into his hip. Langway made the Hall of Fame purely on his defensive skills. The two-time Norris winner was never especially fast, but he always seemed to cover a lot of ice because of his tenacious play along the boards and relentless pursuit of pucks and opposing forwards. He played the game with an attitude and was effective at keeping his crease clear. Langway won the Cup with Montreal in 1979 and later became a force with Washington for 11 seasons. The Rodney Dangerfield of backliners was rarely fully appreciated for how durable (1,615 games), consistent (1,216 points) and successful (215 playoff games) he was. Murphy became an offensive star in Washington and won a pair of Cups with both Pittsburgh and Detroit. As a Red Wing, he was a fine complement to Nick Lidstrom as a team player. The greatest defenseman of his generation who wasn’t named Orr, the physical, scrappy Park was an NHL First Team All-Star five times, a Second Teamer twice, and runner-up to Orr for the Norris on six occasions. Though he played on some outstanding teams with the Rangers and Bruins, Park never won the Stanley Cup. 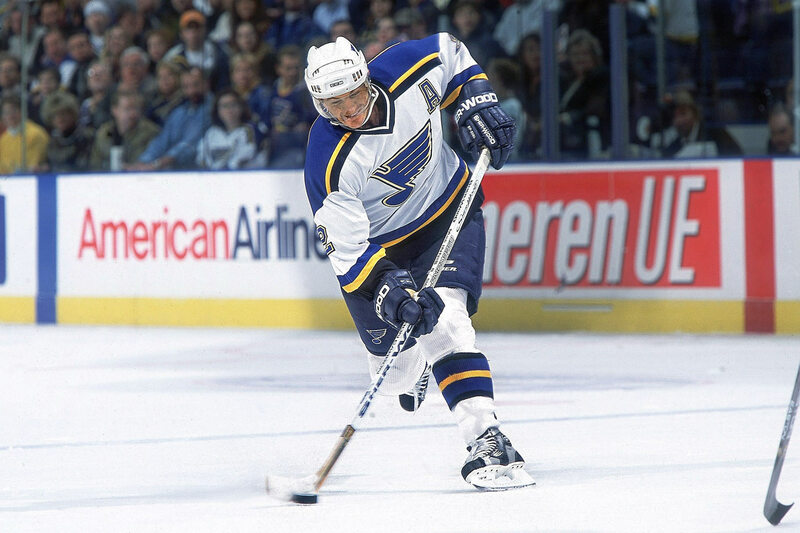 He did appear in 161 career playoff games and his teams never missed the postseason during his 18-year NHL career. He also topped the 20-goal mark three times and scored at least 10 goals 12 times. 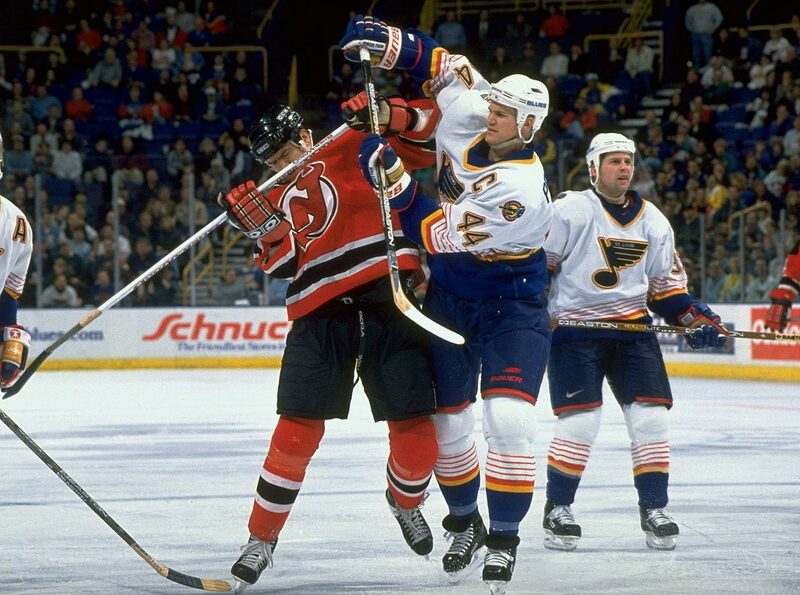 Skilled at joining rushes and keeping pucks out of traffic areas in front of his net, MacInnis may have had the most devastating shot in hockey history. He was also able to keep his blasts low and control them so his teammates could tip them past goalies. His shot grew into legend after a game in 1984 when he fired a puck that split goalie Mike Liut’s mask into two pieces before bouncing into the net. A Cup winner in 1989 with Calgary, he finished his career with 1,274 career points. 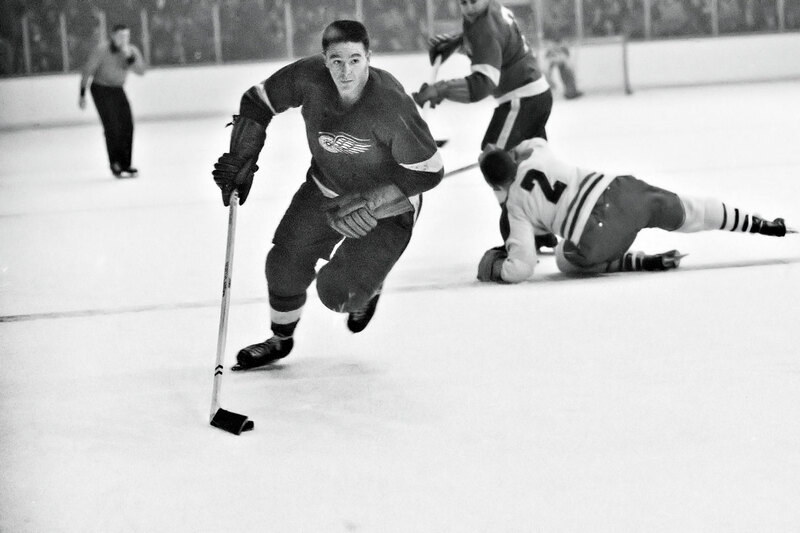 Pronovost played in 11 All-Star Games and won five Cups, including four with Detroit and one with Toronto. A former forward, he played both positions early in his NHL career. 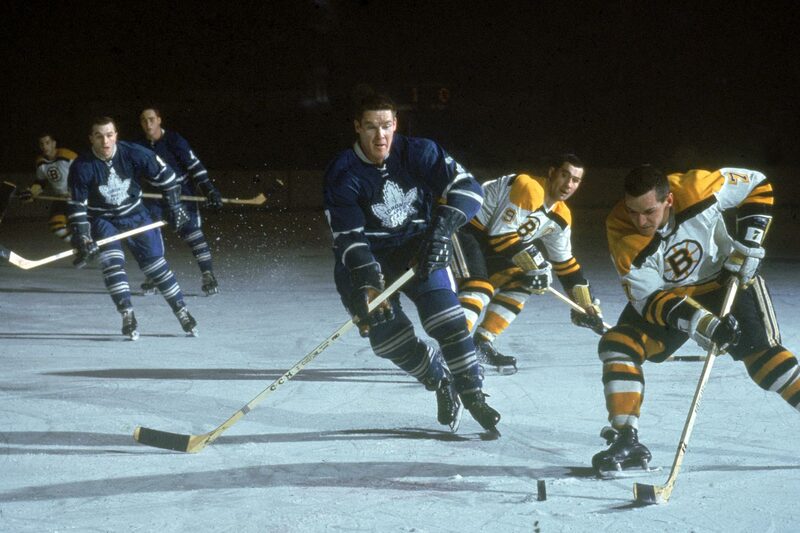 During Toronto’s Cup run in 1967, the steady Pronovost was on the ice for only one even-strength goal-against during the entire postseason. 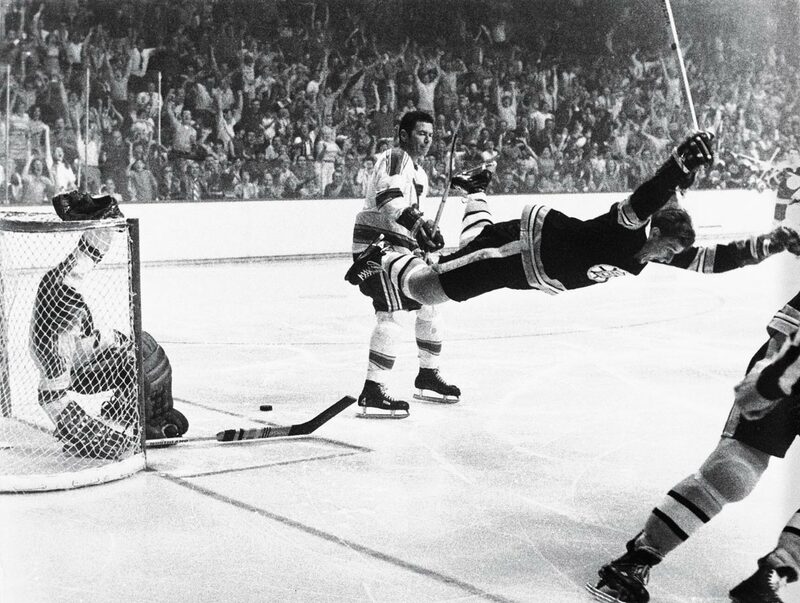 No defenseman since Bobby Orr has been as gifted. 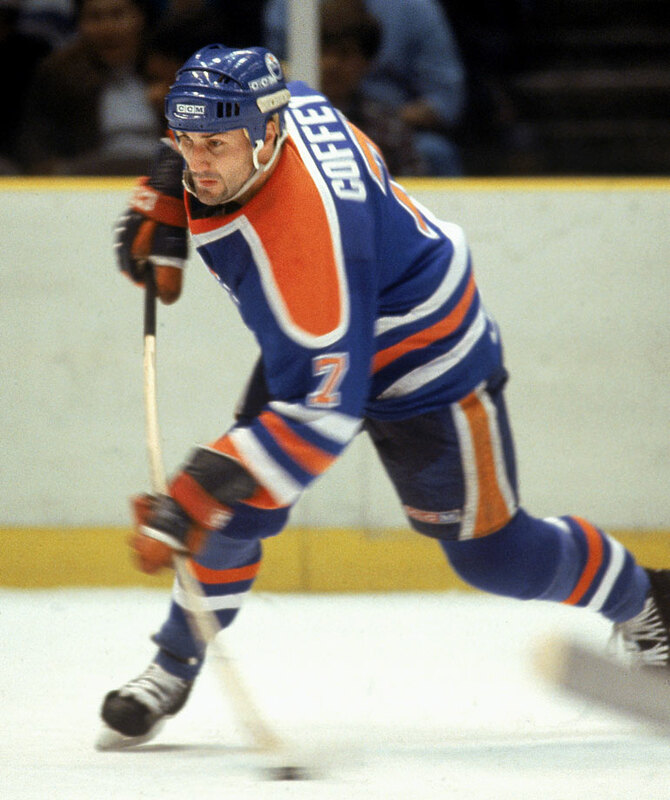 On the run-and-gun Oilers, the smooth-skating Coffey was deadly on the power play or the rush as a fourth man, a stealth trailer who feasted on chances produced by the likes of Wayne Gretzky, Mark Messier, Jari Kurri and Glenn Anderson. After winning three Cups with Edmonton, where he scored 48 goals in 1985-86, he added another with the Penguins in 1991, making him one of the fortunate few to ride shotgun with both Gretzky and Mario Lemieux in their heydays. Arguably the most devastating checker of all time, Stevens knocked players senseless with hits that would get him suspended today. 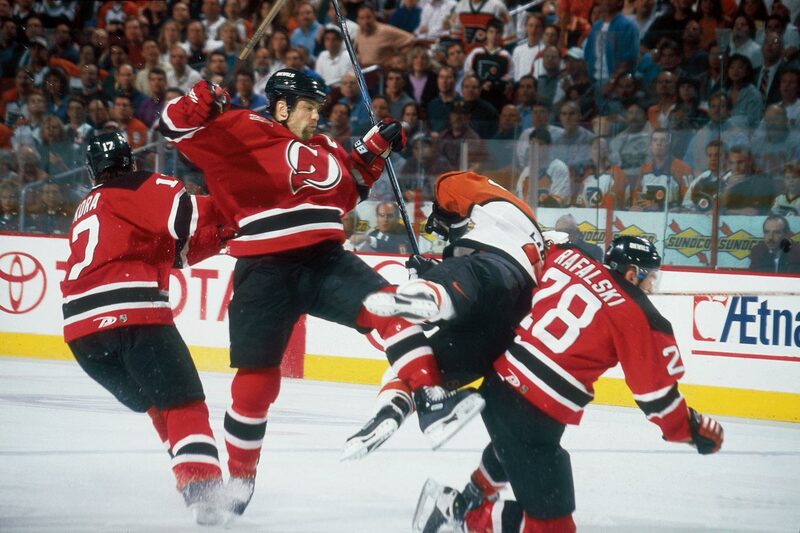 His most notorious was the one on the much larger Eric Lindros of the Flyers in the 2000 playoffs. 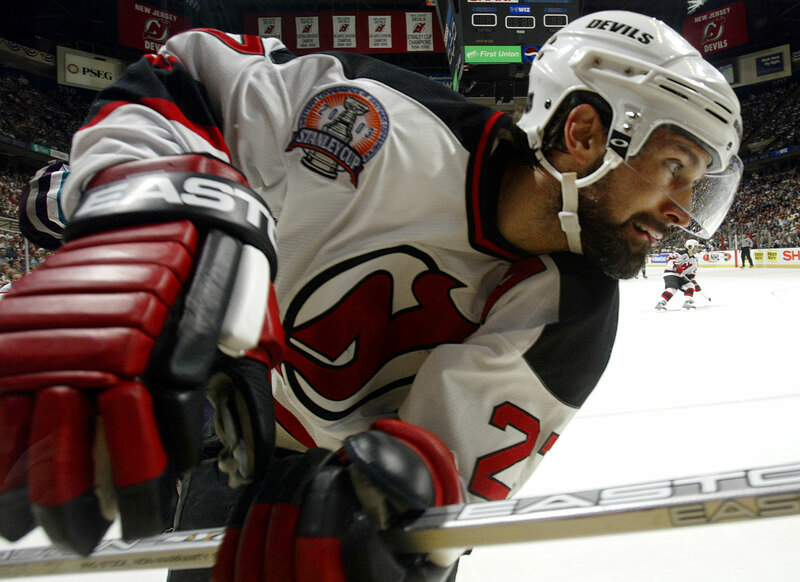 A plus player in each of his 22 seasons, Stevens was more than adequate offensively (908 points) and he captained the Devils to the Cup in 1995, 2000 and ‘03. 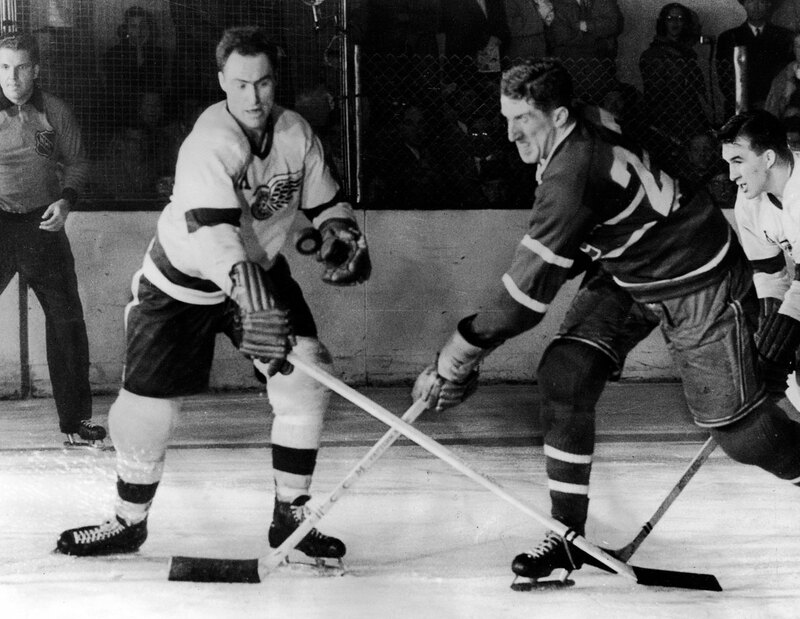 Now known for the donut chain that bears his name, Horton was one of the game’s steadiest, strongest defensemen. He held the NHL’s ironman mark for blueliners with 486 consecutive games played until Karlis Skrastins broke it in 2007, despite suffering a broken leg and jaw after being checked by Ranger Bill Gadsby in 1955. Horton played in 1,446 games, capturing four Stanley Cups with Toronto before playing with the Rangers, Penguins and Sabres. 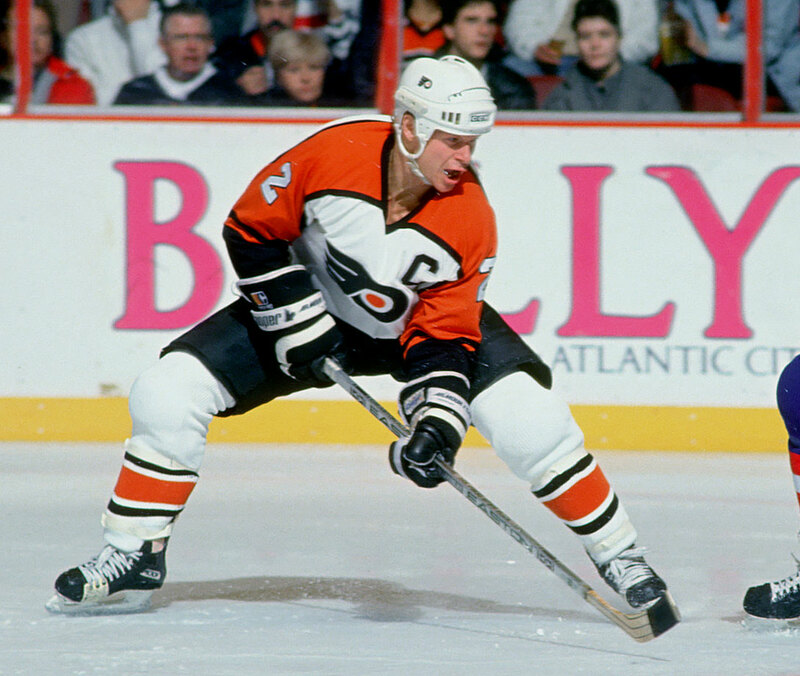 One of the meanest, most feared defensemen of his time, Pronger earned eight suspensions for excessive play, but he also had superb vision and anticipation that made him a deft outlet passer and defender who could afford to guess and take chances while playing aggressively. He reached the Cup finals with three different teams, winning the championship with Anaheim in 2007, and was inducted in the Hall of Fame in 2015. 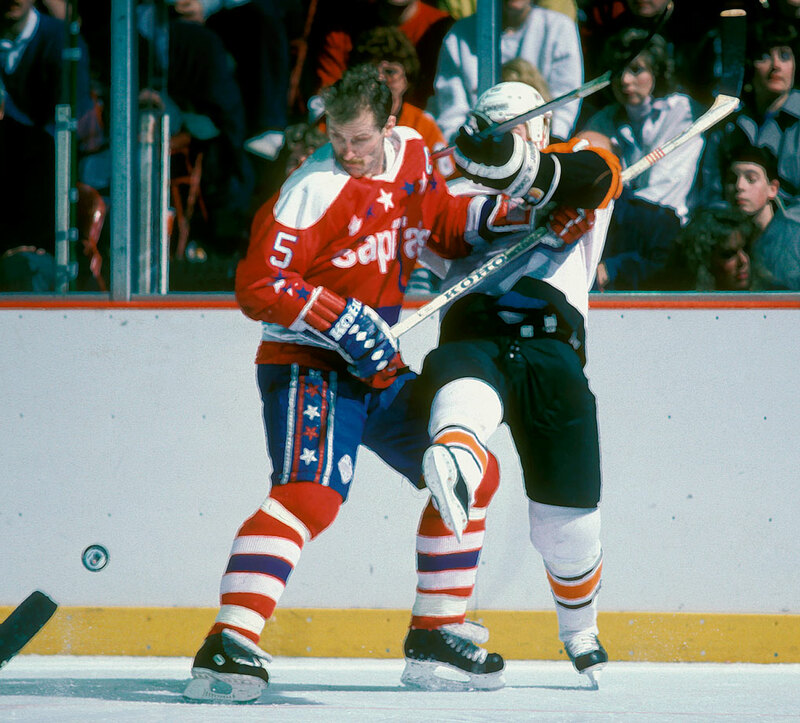 Perhaps the finest U.S.-born defenseman of all time, Leetch was a grab bag of skills. Though he lacked Paul Coffey’s speed and Al MacInnis’ shot, he had a knack for keeping pucks in at the point, making plays in traffic, riding bigger players off the puck in his own zone, and creating scoring chances out of broken plays. 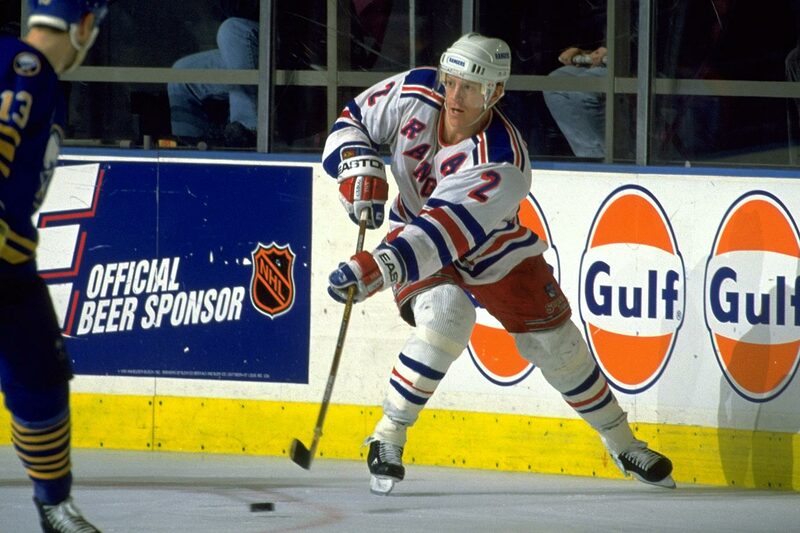 Leetch always saved his best play for pressure games, winning the Conn Smythe Trophy as playoff MVP in 1994 when the Rangers ended their 54-year Cup drought. 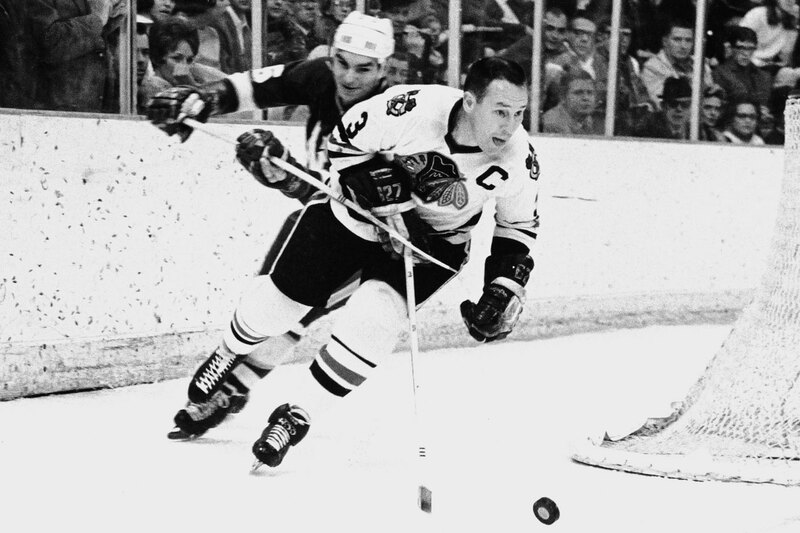 Pilote joined the Chicago in 1955, won the Stanley Cup in 1961 and became the Blackhawks’ captain the next season. Teamed with Moose Vasko for most of his career as one of the game’s top defensive tandems, he won three Norris Trophies and was runner-up three times. He had the offensive skills to be a fixture on the power play, scoring 14 goals in 1964-65 when Chicago again reached the Cup finals, and a nasty side with his stick, twice amassing 160 penalty minutes in a season. No one was more ill tempered or inspired more animosity in opponents. His 2,891 penalty minutes, second among NHL blueliners, were well earned. 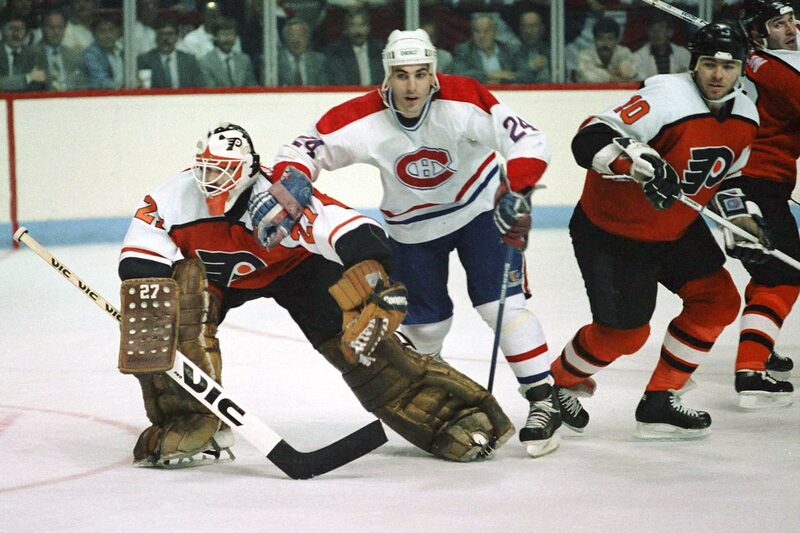 Flyers’ goalie Ron Hextall once compromised his team’s comeback in the closing minutes of a playoff game by chasing Chelios and pounding away. A three-time Norris Trophy winner, Cheli played to age 48 and his 1,651 games rank fifth all-time and first among defenseman. Kelly won eight Stanley Cups with Detroit and Toronto, more than any player who never played for Montreal, and the Norris Trophy in 1954, the year it was first awarded. When foot and leg injuries caught up to him, he actually moved up to play forward so he did not have to skate backwards as often, and he spent the last seven seasons of his 20-year career up front. When he retired, his 1,316 games played stood second only to Gordie Howe and ranked first among defensemen. 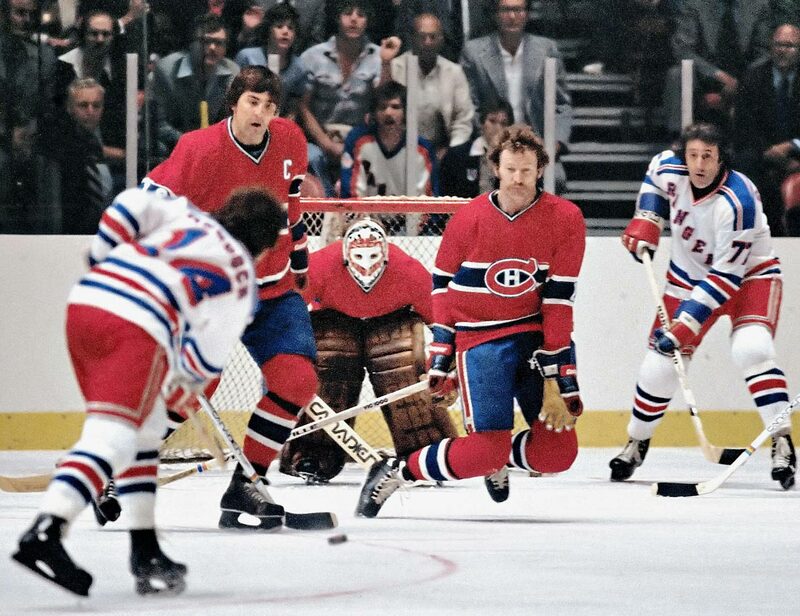 The 6’-4” Robinson was the ace of a Montreal defense corps that anchored four straight Stanley Cup teams (1976-79). He combined the offensive skills of backline partner Guy Lapointe and the defensive stinginess of Serge Savard, and his long reach made him tough to elude. He finished his career with the highest plus-minus rating (+730) in NHL history and later won his seventh Cup as coach of the Devils in 2000. 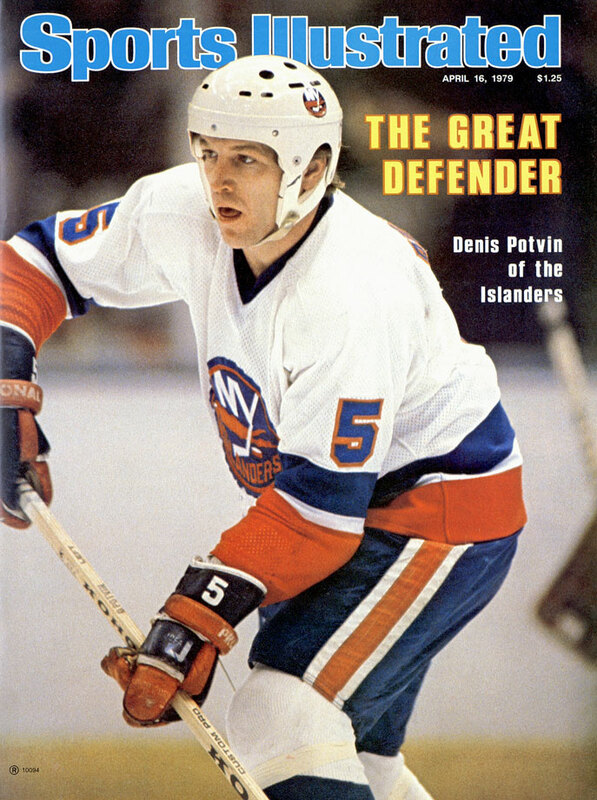 The 1974 Calder Trophy winner enjoyed his heyday as captain of the Islanders during their four consecutive Stanley Cups (1980-83). A three-time Norris winner, Potvin was an offensive force (310 goals; 1,052 points) and rugged bodychecker whose name still rings about the rafters of Madison Square Garden as fans of his crosstown rival Rangers invoke his memory with a vitriol reserved for few retired players in any building. 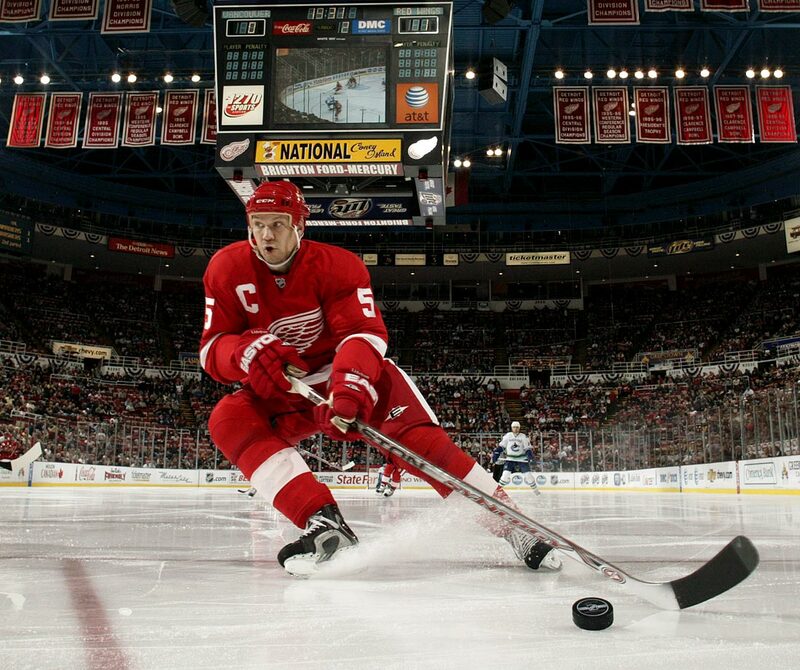 Lidstrom, a 2015 Hall of Famer, was called the perfect hockey player, a testament to his offensive wizardry, defensive subtlety, overall acumen and gentlemanly play. This four-time Stanley Cup winner with 1,142 career points and seven Norris Trophies was perhaps the least likely superstar to make a careless error or costly play. His Red Wings reached the playoffs each season of his 20-year career. Described by the legendary Jean Believeau as the game’s greatest defenseman, Harvey was known for his superb skating and passing skills. He won the Norris Trophy seven times and was named to the NHL All-Star team 11 times. He was a key player for the Canadiens on six Stanley Cup championship teams, including their record five in a row (1956-60), before moving on to the Rangers when Montreal traded him in 1961 as punishment for helping to organize the players’ association. Few have played with the quiet leadership and integrity of Bourque, the all-time leader among defensemen in goals (410), assists (1,169) and points (1,579). After two trips to the Cup finals, 13 First-Team All-Star selections, and six Second-Team nods with Boston, he welcomed a trade to Colorado as a final chance to play for the title. Perhaps no player’s skate with the Stanley Cup met with as much joy as Bourque’s celebrating during his final game in 2001. 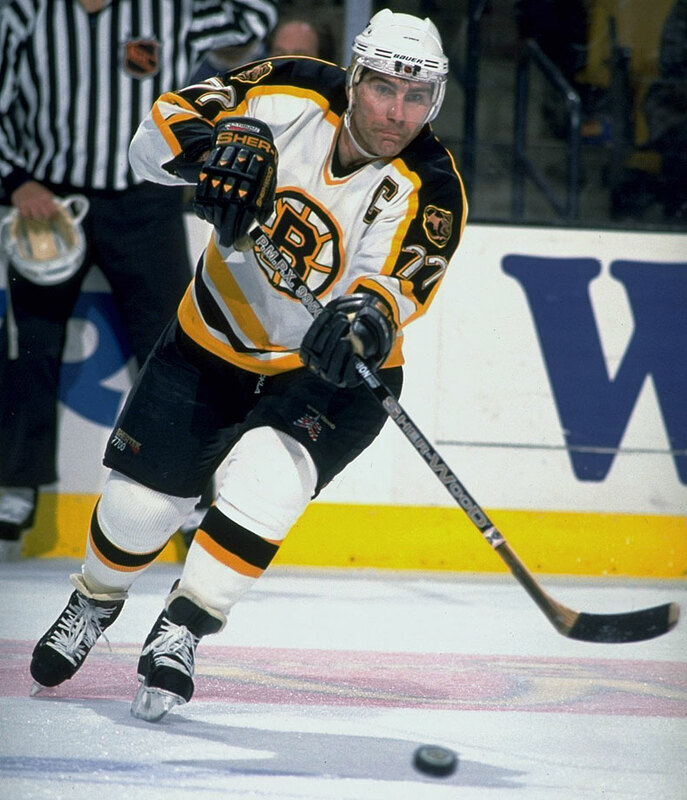 The legendary Bruin redefined what the position could do, joining rushes and sometimes creating them from his own end of the ice. Orr won eight straight Norris Trophies (1968- 75), three Harts and two scoring titles, an unheard of accomplishment for a defenseman. He led Boston, league also-rans before his arrival, to the Stanley Cup in 1970 and 1972, when he also won the Conn Smythe Trophy.